Perrysburg, Ohio (November 14, 2018) - Owens-Illinois, Inc. (NYSE: OI) will host an invitation-only investor day, at 8:30 a.m. Eastern today in New York City. Andres Lopez, CEO of Owens-Illinois, will discuss how O-I is delivering on its transformational journey and highlight strategic priorities for the next three years. Lopez commented, "We are excited to build on the stability and capabilities we've established across the O-I organization over the past several years, delivering on our operational and financial commitments and building a future on favorable market trends for glass packaging. This foundation will enable us to continue to grow and expand the top line and improve structural costs. As we continue to execute on our commitment to growing revenue, margins, earnings and cash flow, we have come together as One Global Enterprise with shared goals and we are excited for O-I's future." The Company today announced that it intends to pay a regular quarterly cash dividend to stockholders. The Board declared a dividend of $0.05 per share which will be paid on February 12, 2019 to shareholders of record on the close of business on January 22, 2019. "The initiation of a dividend and continuing share repurchase program demonstrate the Board's confidence in the Company's strong operating performance, free cash flow generation, and sustainable long-term financial outlook," said Carol Williams, Independent Board Chair, Owens-Illinois, Inc.
Also today, O-I announced that the Board has authorized an increase of the existing share repurchase program for O-I's common stock to $600 million. With this $313 million increase, and taking into account repurchases already made under the existing program, the Company had approximately $600 million in remaining repurchase authority as of November 1, 2018. A live webcast of the event will begin at 8:30 a.m. EST and presentation materials will be available on the O-I website, www.o-i.com/investors, in the Presentations & Webcast section. A replay of the webcast will be available following the call. The Board anticipates declaring a dividend in future quarters on a regular basis; however, future declarations of dividends are subject to Board approval and may be adjusted based on the Company's results of operations, financial position and cash flow, or as business needs or market conditions change. Under the repurchase program, repurchases can be made from time to time using a variety of methods, which may include open market purchases, privately negotiated transactions, accelerated share repurchase programs, or otherwise, all in accordance with the requirements of the Securities and Exchange Commission and other applicable legal requirements. The specific timing, price and size of purchases will depend on prevailing stock prices, general economic and market conditions, and other considerations. The repurchase program does not obligate the Company to acquire any particular amount of its common stock, and the repurchase program may be suspended or discontinued at any time at the Company's discretion. 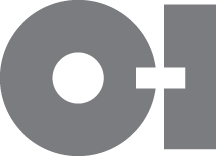 Owens-Illinois, Inc. (NYSE: OI) is the world's largest glass container manufacturer and preferred partner for many of the world's leading food and beverage brands. The Company had revenues of $6.9 billion in 2017 and employs more than 26,500 people at 78 plants in 23 countries. With global headquarters in Perrysburg, Ohio, O-I delivers safe, sustainable, pure, iconic, brand-building glass packaging to a growing global marketplace. For more information, visit www.o-i.com. This press release contains "forward-looking" statements within the meaning of Section 21E of the Securities Exchange Act of 1934 and Section 27A of the Securities Act of 1933. Forward-looking statements reflect the Company's current expectations and projections about future events at the time, and thus involve uncertainty and risk. The words "believe," "expect," "anticipate," "will," "could," "would," "should," "may," "plan," "estimate," "intend," "predict," "potential," "continue," and the negatives of these words and other similar expressions generally identify forward-looking statements. It is possible the Company's future financial performance may differ from expectations due to a variety of factors including, but not limited to the following: (1) foreign currency fluctuations relative to the U.S. dollar, (2) changes in capital availability or cost, including interest rate fluctuations and the ability of the Company to refinance debt at favorable terms, (3) the general political, economic and competitive conditions in markets and countries where the Company has operations, including uncertainties related to economic and social conditions, disruptions in the supply chain, competitive pricing pressures, inflation or deflation, and changes in tax rates and laws, (4) the Company's ability to generate sufficient future cash flows to ensure the Company's goodwill is not impaired, (5) consumer preferences for alternative forms of packaging, (6) cost and availability of raw materials, labor, energy and transportation, (7) the Company's ability to manage its cost structure, including its success in implementing restructuring plans and achieving cost savings, (8) consolidation among competitors and customers, (9) the Company's ability to acquire businesses and expand plants, integrate operations of acquired businesses and achieve expected synergies, (10) unanticipated expenditures with respect to environmental, safety and health laws, (11) unanticipated operational disruptions, including higher capital spending, (12) the Company's ability to further develop its sales, marketing and product development capabilities, (13) the failure of the Company's joint venture partners to meet their obligations or commit additional capital to the joint venture, (14) the Company's ability to prevent and detect cybersecurity threats against its information technology systems, (15) the Company's ability to accurately estimate its total asbestos-related liability or to control the timing and occurrence of events related to outstanding asbestos-related claims, including but not limited to settlements of those claims, (16) changes in U.S. trade policies, (17) the Company's ability to achieve its strategic plan, and the other risk factors discussed in the Annual Report on Form 10-K for the year ended December 31, 2017 and the Company's other filings with the Securities and Exchange Commission. It is not possible to foresee or identify all such factors. Any forward-looking statements in this press release are based on certain assumptions and analyses made by the Company in light of its experience and perception of historical trends, current conditions, expected future developments, and other factors it believes are appropriate in the circumstances. Forward-looking statements are not a guarantee of future performance and actual results or developments may differ materially from expectations. While the Company continually reviews trends and uncertainties affecting the Company's results of operations and financial condition, the Company does not assume any obligation to update or supplement any particular forward-looking statements contained in this press release. This announcement contains inside information under Regulation (EU) 596/2014 (16 April 2014).